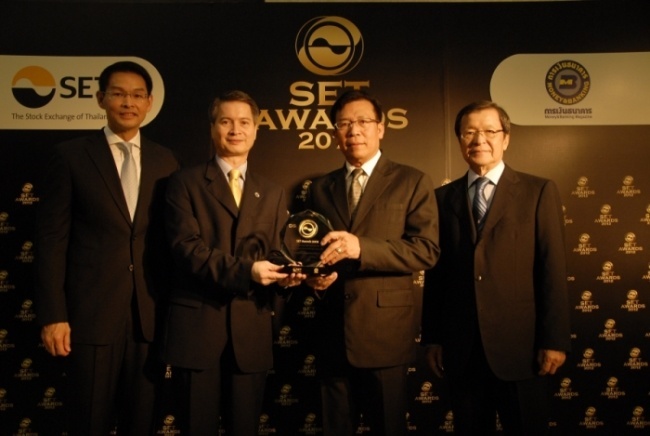 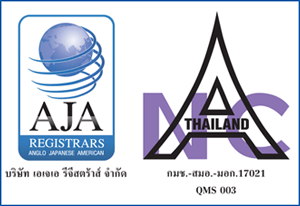 Southern Concrete Pile Public Company Limited was awarded the” Best Company Performance Award” from SET Awards 2012, held by The Stock Exchange of Thailand and Money and Banking Magazine. 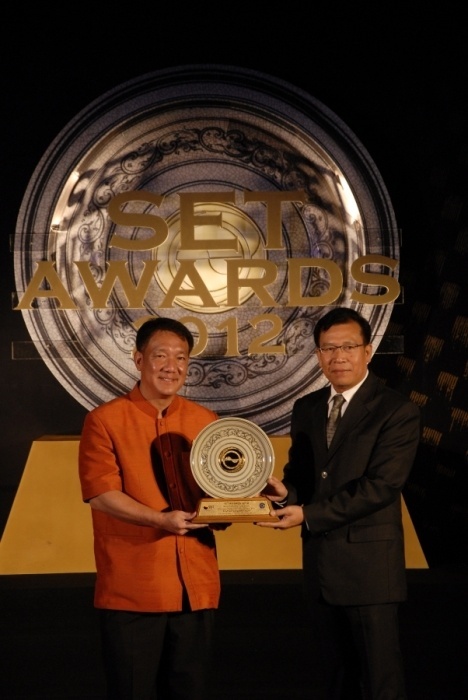 In the SET Awards 2012, Mr.Kittirat Na Ranong (left), Deputy Prime Minister and Minister of Finance, awarded the “Best Company Performance Award” in the fourth group of SET market capitalization of THB 10 billion or less to Mr.Tasanai Atichati (right), Director of Southern Concrete Pile Public Company Limited. 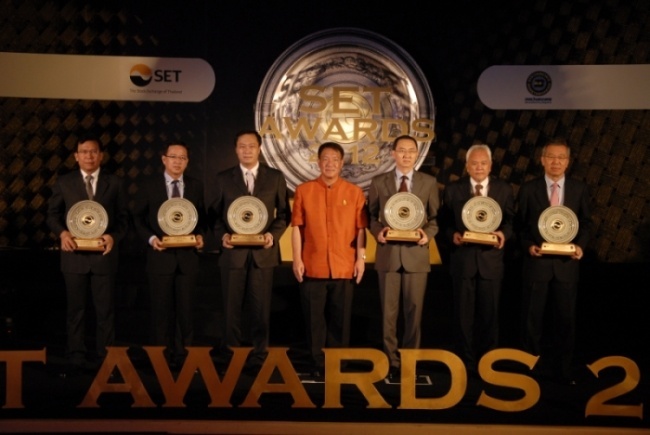 In the SET Awards 2012, Mr.Tasanai Atichati (second right), Director of Southern Concrete Pile Public Company Limited was awarded the “Outstanding Company Performance Award” in the fourth group of SET market capitalization of THB 10 billion or less from Mr.Charamporn Jotikasthira (second left), President of The Stock Exchange of Thailand, Mr. Santi Viriyarungsarit, Editor-in-Chief of Money & Banking Magazine and Mr. Chanitr Charnchainarong, Executive Vice President Issuer & Listing Division & President-Market for Alternative Investment (mai) at the SET building.